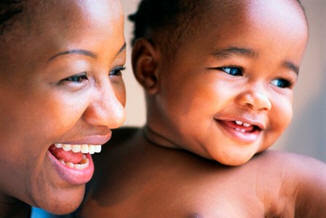 The Black Infant Health Program (BIH) was created at the State level as a result of California Senate Bill 165 of the Budget Act of 1989 to address the high rate of infant mortality for African American families. Los Angeles County was among the first health jurisdictions to receive funding from the State to implement a culturally specific perinatal intervention aimed at reducing the African American infant mortality rate. 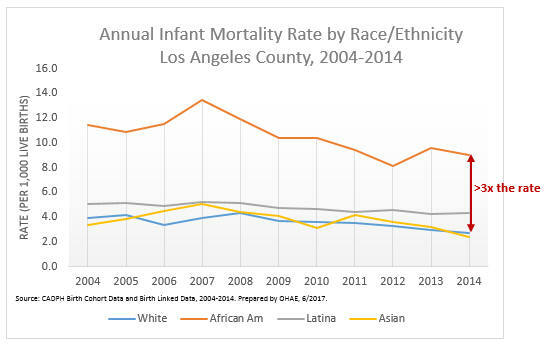 Despite a gradual decline in African American infant mortality in LA County since 2007, African American infants continue to die at more than 3 times the rate observed for white and Asian infants, the two racial/ethnic groups with the lowest infant mortality rates. Within a culturally affirming environment and honoring the unique history of African American women, the BIH Program uses a group-based approach with complementary client-centered case management to help women develop life skills, learn strategies for reducing stress, and build social support. BIH clients participate in weekly group sessions (10 prenatal and 10 postpartum) designed to help them access their own strengths and set health-promoting goals for themselves and their babies. In addition to helping clients reinforce the skills and knowledge they develop in the group sessions, one-on-one case management ensures that clients are connected with the appropriate community and social services to meet their needs. Each woman culminates her participation in the program by developing her own individual Life Plan to guide her continued progress after BIH. Pregnant African American women living in the designated service area - to see the service areas, please click on the Los Angeles County BIH Community Based Organization Contractors link below.